Water might not look that harmful at first glance, but it has the power to completely damage a property. Even resilient building materials eventually succumb to water damage and can become structurally weak. Water sinks into the porous building materials and damages them from within, which is why it must be cleared quickly. At RestorationMaster, we have a team of water damage restoration experts who can easily handle all kinds of problems and ensure that your property in Modesto, CA is clean, safe, and undamaged. We always treat water damage cases as urgent and respond quickly to your calls. If water and moisture is allowed to linger for too long, it can weaken walls, floors, and other such features on your property and encourage mold growth. We have a fixed emergency line that’s open 24/7 so you can call us as soon as you spot the problem. 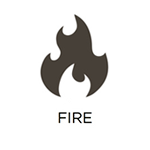 We’ll respond promptly regardless of the time of day and arrive at your location within 2 hours. 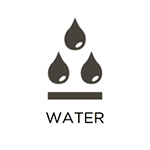 Extracting Water – Our first step is to minimize the damage by removing the water quickly. We use specialized machines to drain the water away from the flooded room. We also remove water from areas that are often ignored, like air spaces. Drying – Once all the standing water is clear, we focus on drying the area completely and removing excess moisture. We use industrial strength dehumidifiers to remove all traces of moisture, especially in areas like basements that are away from fresh air and sunlight. Preventing Mold and Mildew – Mold and mildew are common after floods and water damage. 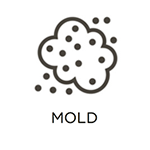 We use antimicrobial agents to discourage mold and any pathogens that might be in standing water. Don’t hesitate to contact us at RestorationMaster, if you find water damage in your home or business in Modesto, CA. Our technicians are properly trained and equipped to ensure that the water is removed and that the affected areas are dry. Just give us a call at 888-915-8868for emergency assistance.